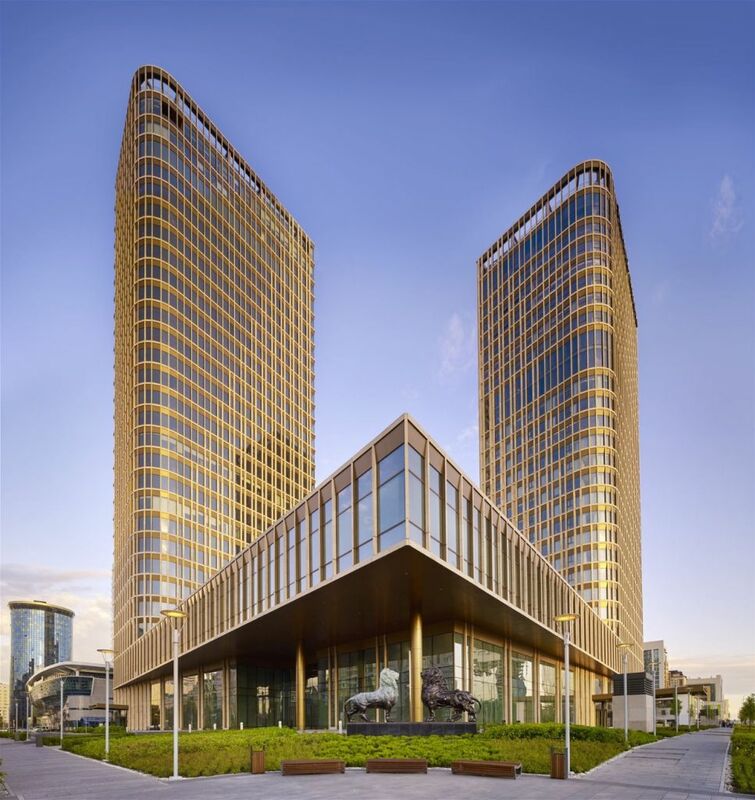 In June 2017, Kazakhstan welcomed its first Ritz-Carlton hotel. 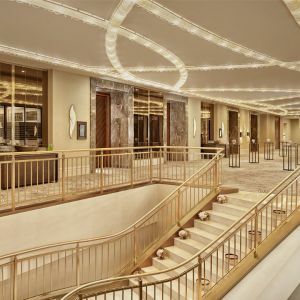 Preciosa, in collaboration with London-based interior designers Richmond International, designed and produced a number of fascinating lighting installations for the property. 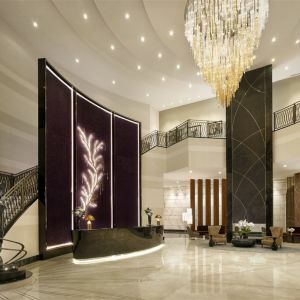 Guests are welcomed to the hotel with two wall art features placed at the reception desk and lobby lift area. The features are composed of brass-casted branches with hand blown crystal drops. To create the most authentic looking pieces, we custom produced large moulds in order to cast 1-metre long branches for the feature. Each centimetre of the branches were shaped and structured by hand. 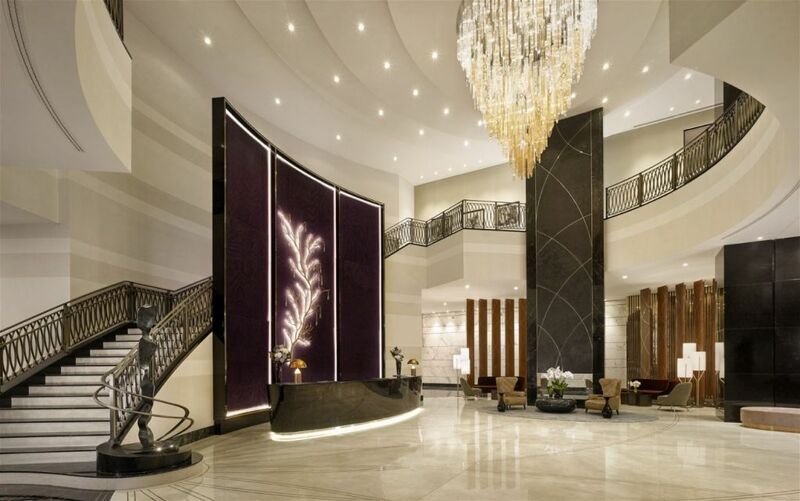 An impressive 3-metre wide chandelier graces the hotel’s lobby. 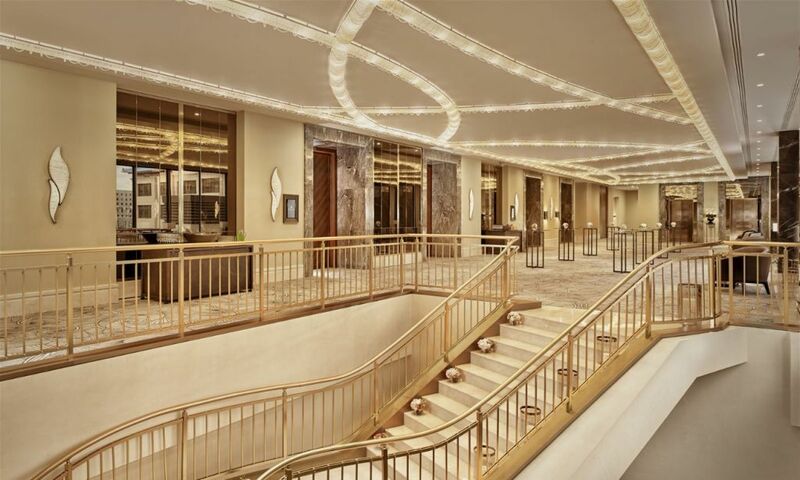 Additional lighting from Preciosa can also be found in the hotel’s large ballroom, including the entry way and pre-function space. In this room, we again created something out of the ordinary. More than 290,000 Preciosa cut lead crystal octagons were used. Strung end-to-end, they would stretch more than four kilometres. It took our specialists more than 1300 hours to string together the delicate pieces. 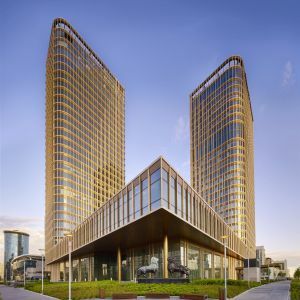 Located in the Talan Towers, the Ritz-Carlton joins an elite business centre and luxury shopping gallery, creating the city’s first high-end, mixed-use complex and offering a new type of lifestyle and luxury experience in the region.